How Does a Stroke Cause Brain Damage? A stroke is the result of interrupted blood supply to the brain. A stroke can occur very quickly and the damage is fast. That is why it is so important to act promptly and to get emergency care immediately as soon as you begin to notice any symptoms that might be a stroke. Why does a stroke cause brain damage so quickly and why is it a problem to delay medical care? The reason is that when brain tissue doesn't get enough blood, damage begins immediately. What actually happens to the brain? Scientists have been researching strokes for years and have been able to identify several different things that happen to the brain during a stroke. 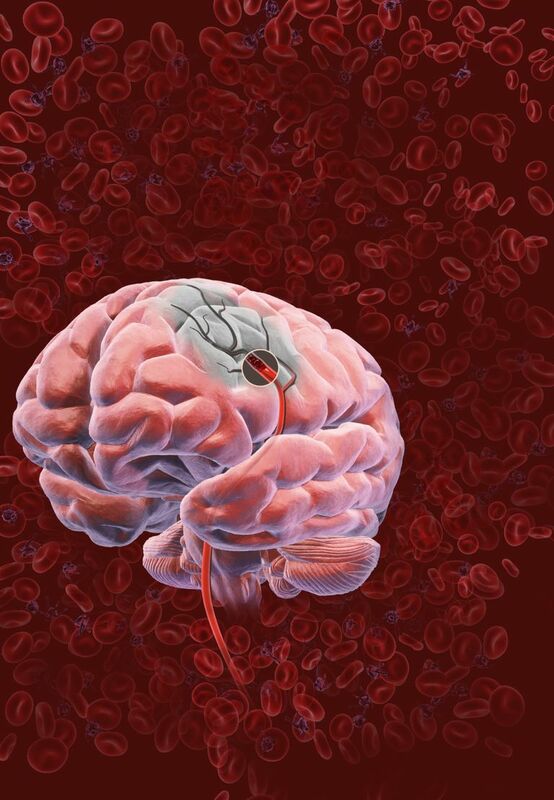 When brain cells don't get enough blood, they often leak out important materials called enzymes. These enzymes that seep out of brain cells are actually strong toxins when they are present in excessive quantities. This means that they are poisons that actually destroy the cell from the inside out, leading to irreversible damage. Some brand new stroke treatments that are still in the experimental stage are aimed at reducing the damage caused by these chemical poisons that leak immediately after a stroke. Inflammation means that the body is attempting to fight off infection or attempting to repair something. When toxins attack the brain during a stroke, the brain naturally tries to repair itself. However, the brain's attempt to heal produces an exaggerated inflammatory response that essentially floods brain tissue with white blood cells (infection fighting cells) and fluid. This actually causes swelling and crowds the undamaged, neighboring regions of brain. The swelling is called edema. If you or a loved one has had a stroke and then experienced edema- that is actually your body's best attempt to heal. However, sometimes the body's attempts at healing are a little too strong. The edema that results from a stroke is one of the reasons that emergency stroke care involves careful monitoring of fluids- to avoid exacerbating the swelling and to attempt to reverse it. After damage from a stroke, calcium, one of the body's important minerals, can leak into brain cells. This is because oxygen in blood provides energy for the body to keep just the right amount of calcium inside each cell. When there isn’t enough blood flow- there isn’t enough oxygen, so the calcium becomes unbalanced. The brain cells aren't suited for such large amounts of calcium, so they often go into a shocked response. One of the parts of emergency stroke management includes careful balance of minerals such as calcium. Sodium, like calcium, is an important mineral for the brain's normal functioning. Sodium comes from regular table salt. When a stroke happens, sodium imbalance results, which triggers a cascade of events that alters the contents of the brain cell dramatically, severely harming it. As with careful calcium management, sodium management is an essential part of stroke care in the early stages. Free radicals, produced during a stroke, are unstable chemicals that rapidly damage nearby tissue. You may have heard of antioxidants. Antioxidants are nature’s way of stopping the harmful effects of free radicals. Many popular drinks, supplements and herbs are advertised as having antioxidants. But the good news is that the best source of antioxidants is actually fresh food- particularly raw fruits and vegetables. When brain cells don't get enough blood supply, the lack of needed energy means that strong acidic molecules that alter the brain's pH are produced. This can be too much for the brain to tolerate, adding to the injury. Right after a stroke, your stroke care team carefully manages your nutrition and any medical conditions like diabetes that can interfere with your body's pH balance. Of course, a stroke is caused by an interruption in blood supply. Sometimes, blood thinners to restore the blood supply are used in emergency stroke care. But depending on the type of stroke and whether it is large or small, blood thinners can actually cause the opposite problem and result in bleeding, which may be even worse, causing a hemorrhagic stroke. The use of strong blood thinners is a complex decision and often requires assistance from a specialized consultant through telemedicine. A stroke is a serious and complex problem. Many of the details of stroke are well understood and research for stroke treatments is moving forward and making progress. How Long Does It Take for a Stroke to Heal? Does Electrical Therapy Treatment Work for Stroke Patients? What Does a Mini Stroke Mean?